When is a closet not a closet? When it doubles as your sanctuary! It’s time to turn your cluttered closet space into a room you can actually enjoy with innovative organization solutions just in time for spring. Warmer weather is a great excuse to turn out old items and immerse yourself in a world where everything is in its place and shoes line up perfectly in their cubbies. Spring cleaning is a seasonal ritual with more than just organization at the forefront: cleaning your closet can actually lead to mental acuity and lower stress levels. Boston Closet Co. is here to explain exactly how extra organization can improve your life. Less hassle. Let’s face it: not all of us are morning people. Some of us prefer to stumble out of bed, shuffle to the closet, and root through piles of things to find a suitable outfit for the day. Luckily, Boston Closet Co. has organization solutions for even the sleepiest dressers. Selecting color-coordinated outfits is a breeze when each clothing category is designated to its own specific area. More time. Imagine having extra time each morning to enjoy a piping hot cup of coffee or play with the kids before they go off to school. Less time combing through your extensive wardrobe means more time to enjoy the things that really matter. Your closet will never again hold you back from enjoying life to the fullest. More space. Your closet occasionally doubles as a sanctuary – a place where you can hide away for a few minutes before stepping back into the world with a fresh mindset. Extra space will make your closet feel like a true room. This is not just a place to hang clothes. 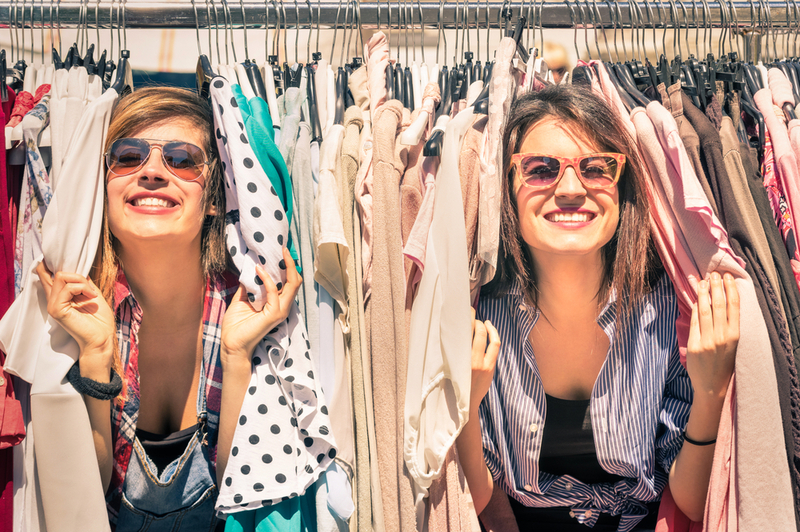 Your closet is a special space that reflects your personality and style as much as any outfit you could put on. Charity. If you discover clothing and accessories which have only been gently used (if at all), are no longer in vogue, or simply don’t fit, consider donating to a local charity. 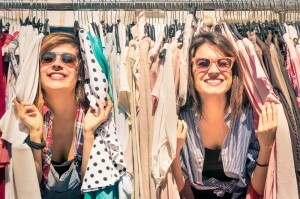 Your closet will have more space and you will feel good knowing you contributed to a worthy cause. If your clothes are beyond repair, check out some no-sew clothing hacks to breathe new life into your old duds. New clothes. Assuage buyer’s remorse with the knowledge that you actually have space for new items and have already donated what you no longer use. Extra closet space means your new items will be properly showcased and are readily available when you need them. Less ironing. An organized closet is the best way to protect your favorite shirts from overcrowding that causes wrinkles. Once laundry is done, hang up your clothes with confidence knowing they are ready to wear and require no additional maintenance. Who knew closet organization could be such a timesaver? Peace of mind. Guests may not regularly check out your closets, but this is still space you visit on a daily basis and it should be treated with the same eye for detail as any other room in the house. Clutter is stressful and increases feelings of anxiety which run over into your daily life. A clean closet sets the precedent for an organized mindset which goes hand-in-hand with organization in your life, too. Proper closet organization facilitates much more than just your daily routine: mental clarity is achieved and your schedule is streamlined through organizational techniques. Fashion choices become simple, uncomplicated decisions which leave more time to enjoy your life. Take charge of your home organization and prepare for warmer weather with Boston Closet Co. solutions. View our gallery of bedroom closets and imagine your dream closet becoming a reality today.